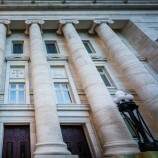 Probate Jurisdiction and Procedure in Connecticut, 2019 ed. Probate Jurisdiction and Procedure in Connecticut, 2019 ed. 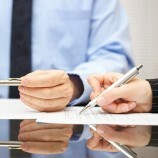 provides extensive discussion of the jurisdiction and procedure of Connecticut estates practice, including detailed analysis of requirements and administrative opinions, and the powers of probate courts and probate bonds. 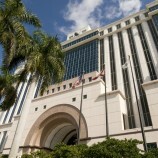 This Practical Law Guide identifies and discusses the key laws and procedures regarding Florida ancillary probate proceedings, including, but not limited to, determining when a Florida ancillary probate proceeding is necessary or permissible, preliminary requirements for initiating an ancillary probate proceeding, appointment of a personal representative to maintain an ancillary probate proceeding in Florida, etc. 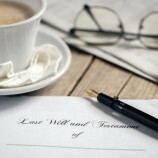 This Practical Law Guide addresses Connecticut state laws and customs that impact wills, including the key statues and rules related to wills, the rules of intestacy, the requirements for creating a valid will, common will provisions, information concerning fiduciaries, and information regarding making changes to wills after execution, special circumstances regarding gifts made under a will or gift recipients, and lost wills. 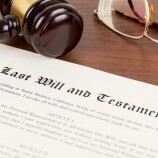 This Practical Law Guide provides signature pages that comply with the execution requirements for Connecticut wills, including an attestation clause, signature lines for the testator and witnesses, and a self-proving affidavit. 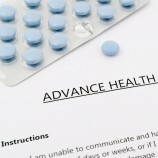 This Practical Law Guide discusses a living will and appointment of health care representative that allows an individual residing in Connecticut to express personal health care instructions regarding life-sustaining treatments and end-of-life care, and to authorize an agent (health care representative), to make health care decisions on the individual's behalf. 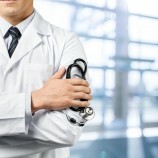 This Practical Law Guide addresses an advance health care directive that allows an individual residing in Connecticut to express personal health care instructions regarding life-sustaining treatments and end-of-life care, to authorize an agent (Health Care Representative) to make health care decisions on the individual's behalf, appoint a conservator of the person in case of incapacity, and make an anatomical gift. 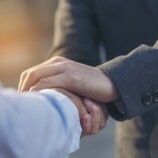 This Practical Law Guide addresses the development of a power of attorney used by an individual residing in Connecticut to authorize a third party to manage the individual's property and financial matters. This Practical Law Guide addresses whether a jurisdiction has any estate tax or other similar taxes imposed at death and, for jurisdictions currently imposing a state estate tax, includes an overview of the state estate tax system, the basic exemption amount, the calculation of the gross estate, available deductions, calculating the state estate tax, filing the state estate tax return, and paying the state estate tax. This Practical Law Guide addresses state laws and customs that impact the process of an estate proceeding, including the key statutes and rules related to estate proceedings, the different types of estate proceedings available in Connecticut, and the processes for opening an estate, appointing an estate fiduciary, administering the estate, handling creditor claims, and closing the estate. 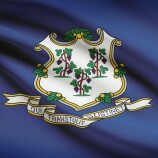 This Practical Law Guide addresses state laws and customs that impact revocable trusts, including the key statutes and rules related to revocable trusts, requirements for creating a valid revocable trust agreement, common revocable trust provisions, information concerning trustees, information on making changes to revocable trust agreements after execution, and Connecticut's treatment of certain special circumstances for gifts made under a revocable trust agreement and gift recipients. 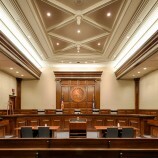 This Practical Law Guide identifies key issues, laws, and procedures relating to ancillary estate proceedings, including why and when ancillary estate proceedings are necessary or permissible, where ancillary estate proceedings may be commenced, the procedure for filing and conducting an ancillary estate proceeding, who may be appointed as ancillary fiduciary, and the applicability of the Connecticut estate tax to ancillary estate proceedings. This Practical Law Guide addresses Florida state laws and customs that impact the process of an estate proceeding, including the key statutes and rules related to estate proceedings, the different types of estate proceedings available in Florida, and the processes for opening an estate, appointment an estate fiduciary, administering the estate, handling creditor claims, and closing the estate.